A 71-year-old woman was discovered dead in her Tempe, West Coast Berbice (WCB) home on Friday just days after her daughter threatened to kill her. 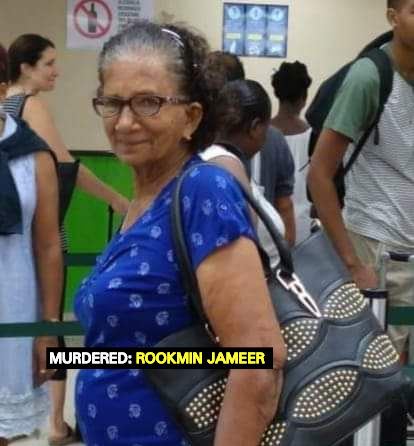 The dead woman has been identified as Rookmin Jameer. She was found with her throat slit. Her daughter and son-in-law have been arrested. The Guyana Standard has been informed that the deceased lost some money last week and when she questioned her daughter, the woman became angry. According to information received, the elderly woman was preparing to make a police report but she was threatened by her daughter. The woman told neighbours that her daughter threatened to throw hot water on her if she leaves the house to report the matter. “This girl always tormenting her mother and thieving her money and the woman does cant talk,” a neighbour said.